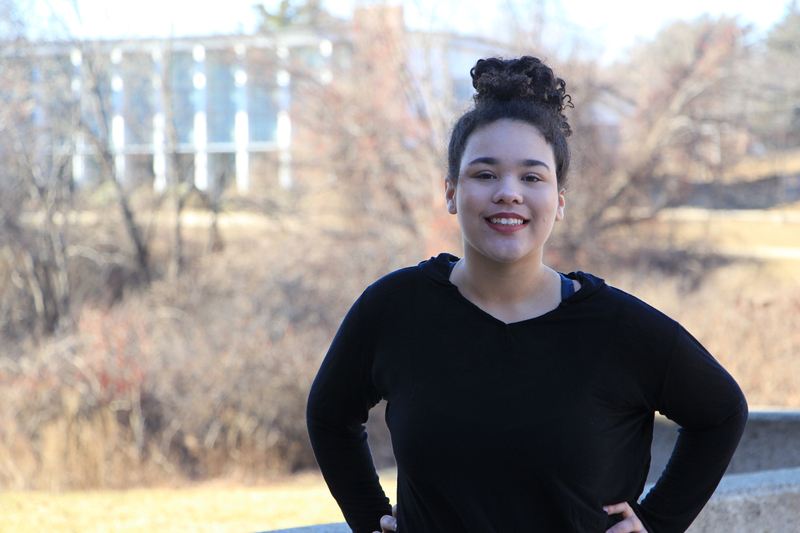 NECC alumna Tia Franklin-Garrett recently received an Oprah Winfrey Scholarship to attend UMass Lowell. The television talk show host and author recently spoke at UMass Lowell, which raised $1.5 million for scholarships through ticket sales and sponsor ships. Winfrey matched that figure with another $1.5 million to create additional scholarships. A 2016 graduate of Amesbury High School, Franklin-Garrett earned an Associate in Science in Criminal Justice and a Certificate of Completion in Law Enforcement from NECC and graduated in December of 2018 with a 3.82 GPA. The 20-year-old is currently enrolled in UMass Lowell’s criminal justice bachelor degree program. She hopes to graduate in 2020 and work as a court advocate or crisis intervention worker. Sexual Assault Awareness Day last April and in 2017 was inducted into Phi Theta Kappa (PTK,) an honors society for community college students. She also participated in the NECC Pathways to Academic and Career Excellence (PACE) Program for first generation college students. For additional information of the scholarships visit.